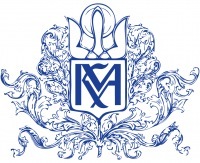 Women of Maidan encompasses the past, present and future of women in Ukrainian society. The international image of Ukraine is a country that breeds beautiful prostitutes and mail-order brides. Truth be told, women are leaving the country because they don’t see much of a future for themselves. In 2012, the Ministry of Health stated that by 2025, the Ukrainian population will be reduced by 9 million people and could become a threat to Ukraine’s national security. The reason is that there are not enough women willing to give birth in any Ukrainian territory. Abused and muted, they leave their country, turning it into a subconscious protest by choice. Men, unable to honestly provide food for their families, dishonored by participation in a totally corrupted economic system of the country, were going to extremes of family abuse, alcoholism or total passivity and depression. The family – that core that makes up a functional society – was devalued and began to fall apart. For the past two years, I followed other worrisome tendencies in Ukraine: indications that there may be an unofficial policy supporting aggressive acts and violent crimes against women. Outspoken female opposition leader, Yulia Tymoshenko, was in jail on charges that male counterparts get away with or maybe because historically, totalitarian regimes are notoriously harsh on women. When women are oppressed, dismissed and judged only by their gender, it creates a deeply rooted, equity imbalance within society whereby women lose their public and personal voice and integrity. The Ukrainian people were faced with a choice to stagnate in a dead end economy and political corruption or make a change. The people opted for change. Its orientation went towards the West where basic human rights and family values, including gender equality are respected. They unilaterally voiced their desire to join the European Union. When then-President Viktor Yanukovych failed to sign the agreement, the younger generation went out to Independence Square to protest. Not all, just a few students who were fighting for their future. The rest watched silently with interest. protest. They were University students, high school students and scouts dancing and singing around a few fire pits. From the stage, their adult leaders told them to go home, it was 4 a.m. It’s over. There wasn’t any way for them to get home as the Metro opens at 6 a.m. By then, the students were tired and a little disoriented. Suddenly, the Berkut came down on them from the hill in black uniforms, with shields and rubber batons. The boys screamed for the girls to run up the few stairs to the monument of Independence Square. Shoulder to shoulder, they formed a wall of bodies to protect them. The girls started to sing the Ukrainian anthem and the boys started to fall. Whoever could run, did so. In a few moments it was over. Our first story comes from Sasha, a 17-year-old, who was there. She is a “Catnis,” one of the girls who unknowingly contributed to a new chapter in her nation’s history. This documentary, Women of Maidan, may regain, at least to some extent, restore, gender balance in Ukraine. project is ambitious with a goal to capture the national awakening of a liberated and united Ukraine by observing women that produce change and the change itself in the process. This documentary, intended for anyone interested in gender studies, is a look into what is going on Maidan in Ukraine today. It has been noted that large numbers of women mobilized from all over Ukraine coming to Kyiv so that the men at the barricades are taken care of with food, clean clothing, and medical attention. The uprising is holding up because the women have galvanized as a core, the backbone and lucky omen for the movement. Women of Maidan represent all women worldwide– caregivers and peacemakers –and with the politicians, are on the march to get equal opportunities, safety and justice for all. And you know what? I believe they will get it.